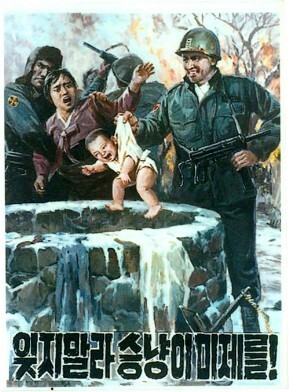 동무는 증산과 절약예비를 얼마나 찾았는가? 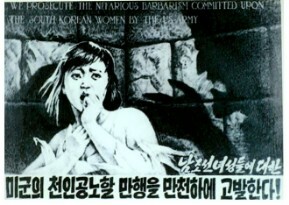 자주, 평화, 친선의 노래 힘차게 부르자! 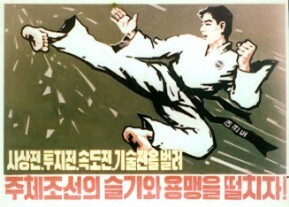 국토관리사업을 잘하여 부강한 조국을 후대들에게! 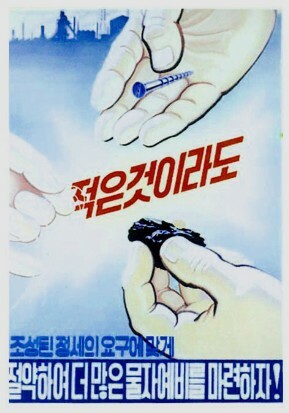 우리 장군님과 생사운명을 끝까지 같이 하는 순결한 인간이 되자! 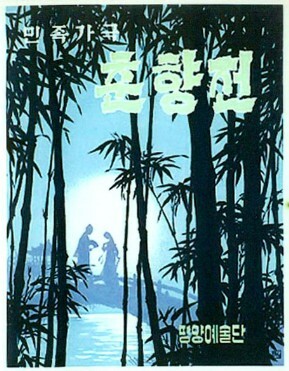 백두의 혁명전통을 혁명의 만년초석으로 여기고 전면적으로 계승발전시키자! 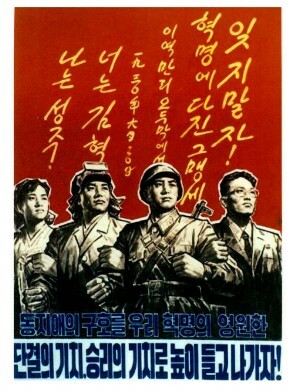 거리와 마을, 일터를 정신이 번쩍 들게 꾸리자! 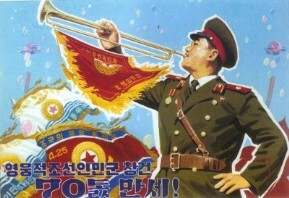 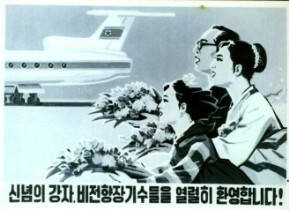 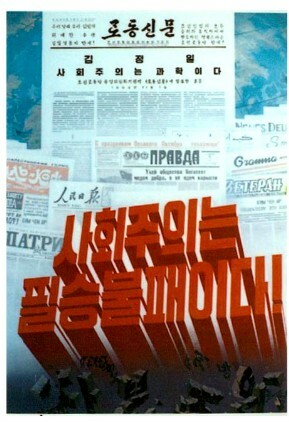 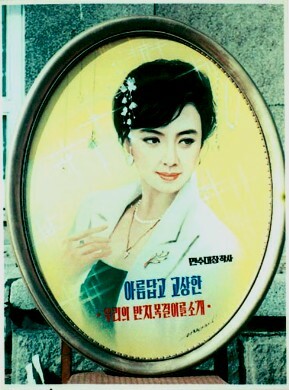 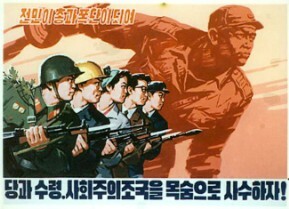 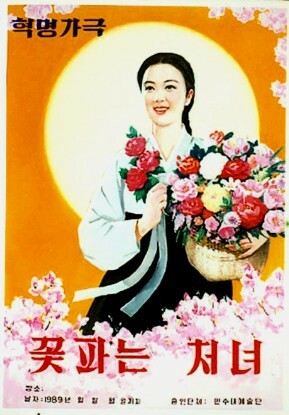 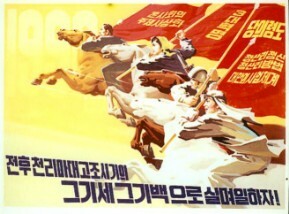 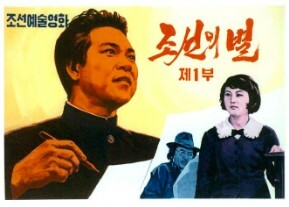 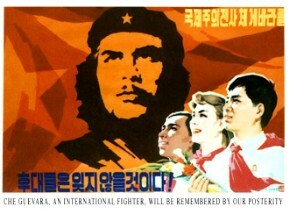 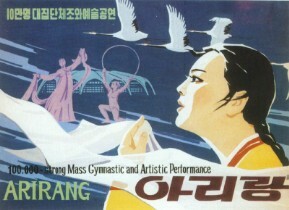 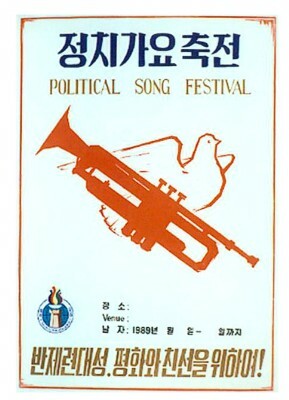 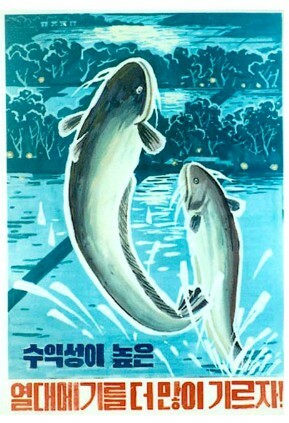 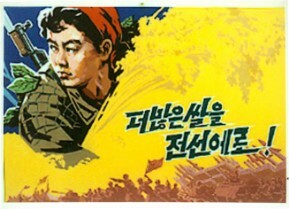 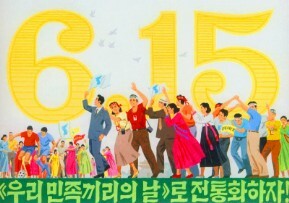 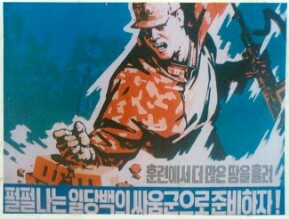 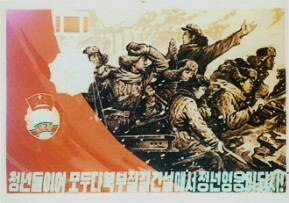 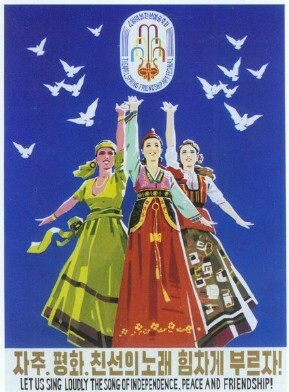 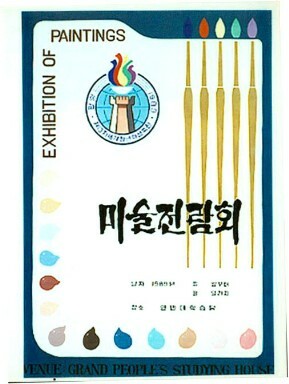 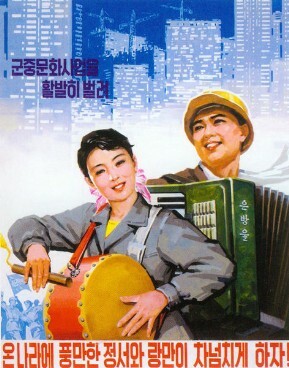 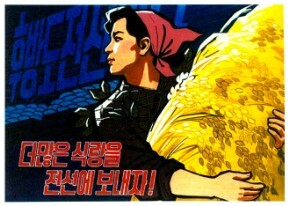 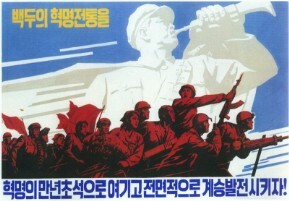 Let´s Celebrate June 15 as the "Day of Our Nation Itself"
중요탄광들에 력량을 집중하여 석탄생산을 부쩍 늘이자! 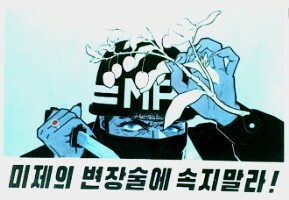 Do Not Be Deceived By the Disguise Of The US! 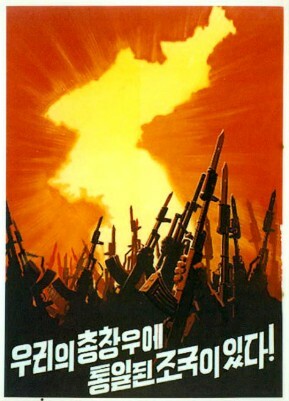 Let´s Establish A Non-Nucleararized Zone! 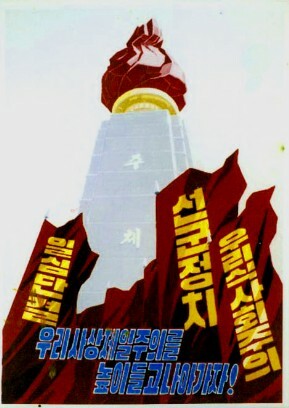 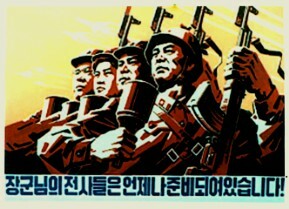 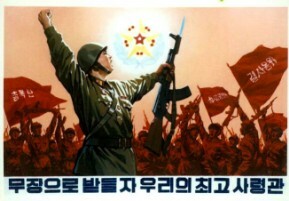 Rise In The Sacred Cause Of National Reunification! 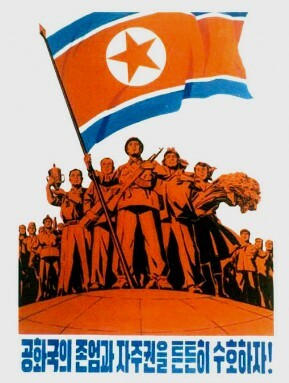 Let´s Firmly Defend The Dignity And Souvereignity Of The Republic! 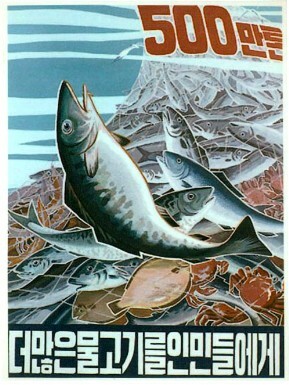 Let´s Develop Widely The Sea Food Cultivation! 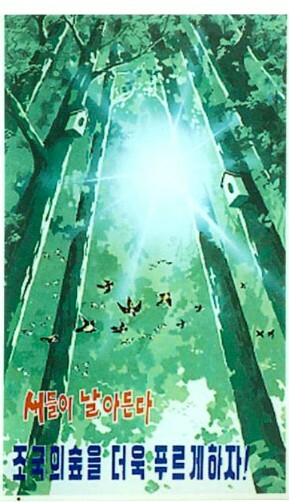 Let´s Protect And Make It Thick The Forest! 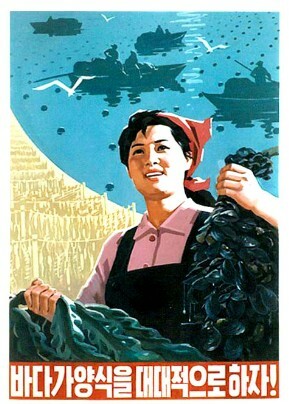 Let´s Provide More Foods For The Front! 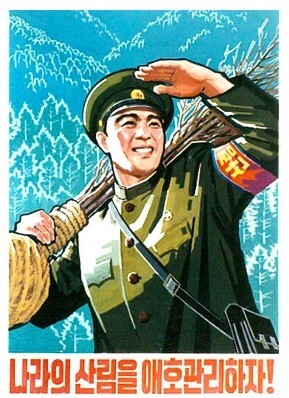 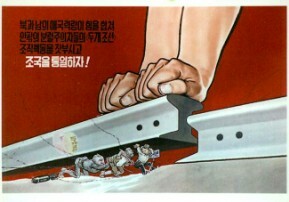 Let´s Protect The Great Leader and The Glorious CC Of The WPK! 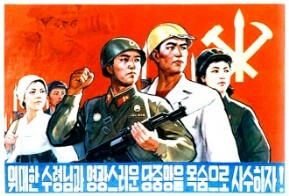 Let´s Regard The Comradeship As the Eternal Banner of Unity And Victory For Our Revolution! 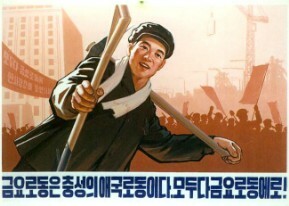 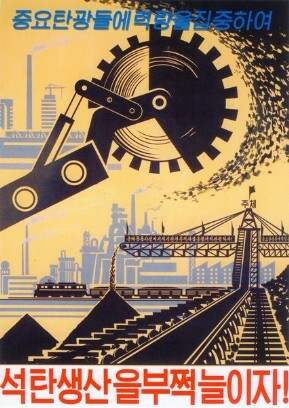 Let´s Ensure More Goods By Saving Following The Demand Of the Era! 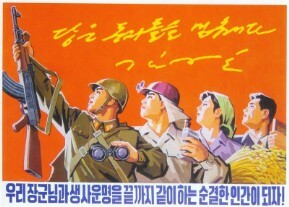 Let´s Keep Our Idea 1st Thinking! 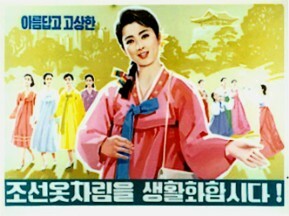 Let´s Wear Usually The Korean Costumes, Beautiful and Gracious! 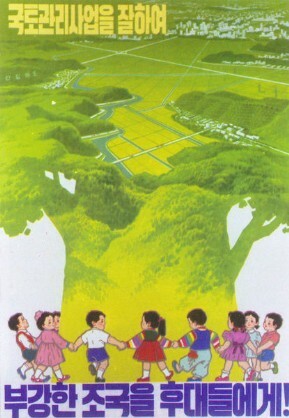 Let´s Make The Forest Of our Country Thicker! 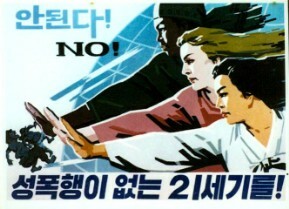 21st Century Without Any Sexual Violence! 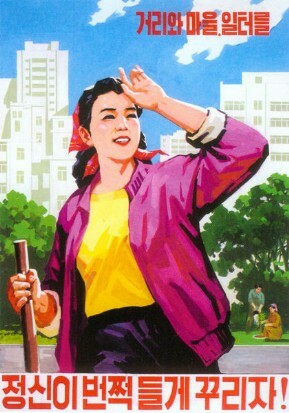 Friday Labour Is A Patriotic Work. 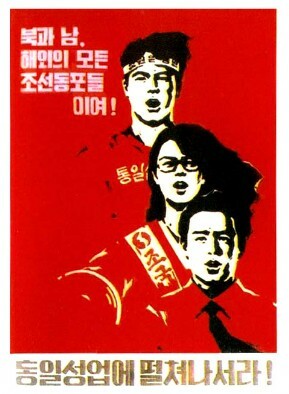 Everybody To Friday Labour! 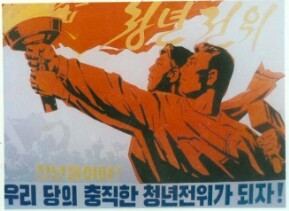 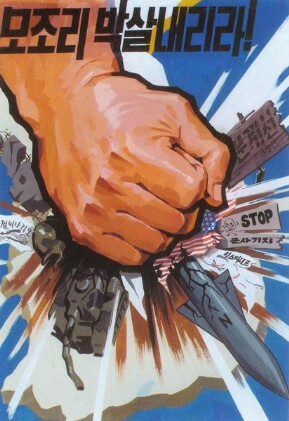 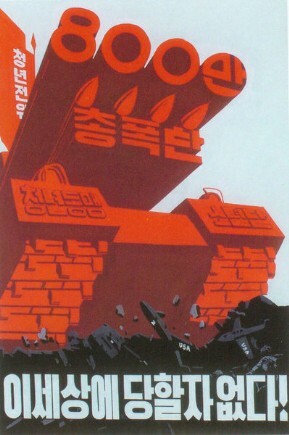 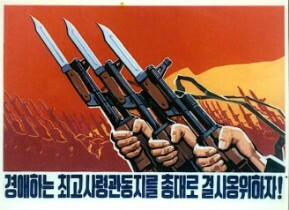 Let´s Defend The Party, Leader And Socialist Fatherland By Making The Whole Nation Guns And Bombs! 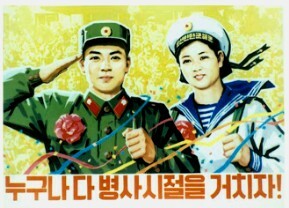 Let´s Become Youth Vanguard Faithful To Our Party! 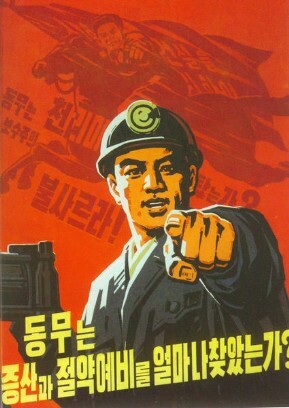 Let´s Support Our Supreme Commander With Arms! 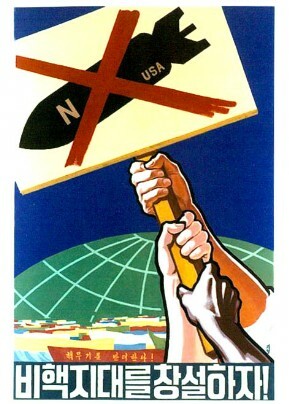 Let´s Destroy The Nuclear War Provocation Of The US! 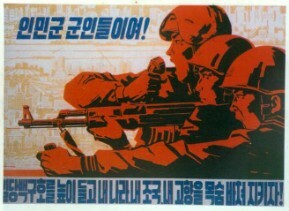 Soldiers of the General Are Always Ready! 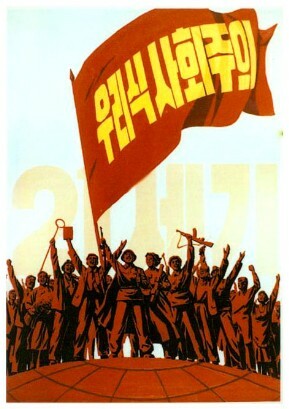 Warm Greetings To Unconverted Longterm Prisoners, The Strong Faith Holders! 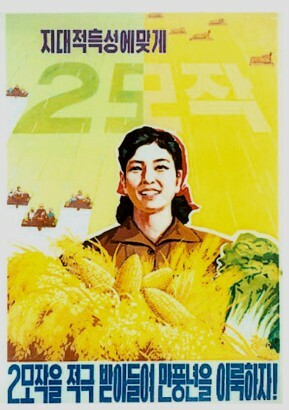 More Rice To the Front! 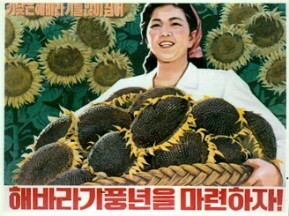 Let´s Make Rich Harvest Of Sunflower! 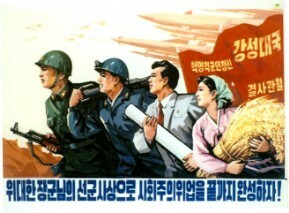 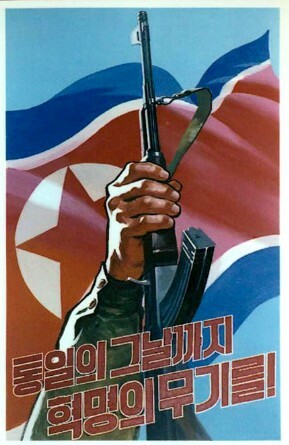 Let´s Defend the Respected Supreme Commander with Arms! 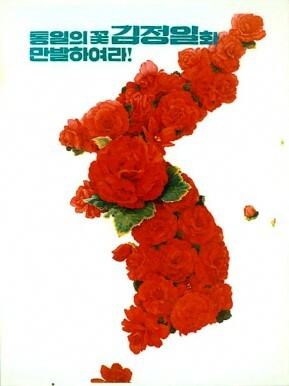 Kimjongilia, the Flower of Reunification, Flourishes! 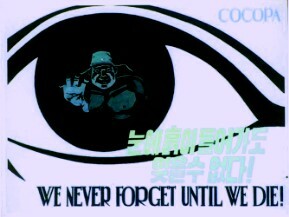 We Never Forget Until We Die! 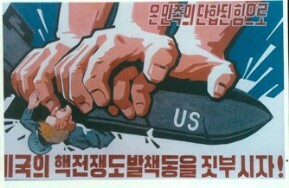 Do Not Forget The US Imperialists, The Wolves! 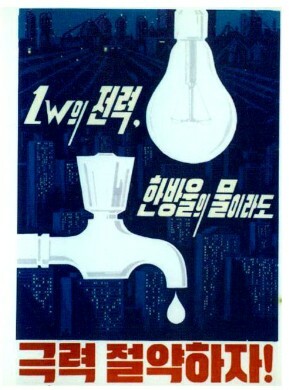 Let´s Save Even A Drop Of Water And 1 W Of Power!